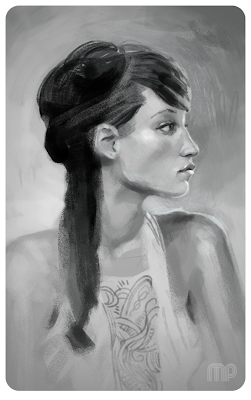 Bit of woman practice from reference. Think I've finally settled on some Photoshop brushes. Maybe 2 hours of painting. I don't tend to do this photo stuff all that much, so I may be a bit slow, but I'm pretty happy with this one. hey what did you paint that baked bean sauce?